Look at the oldest bible…online! 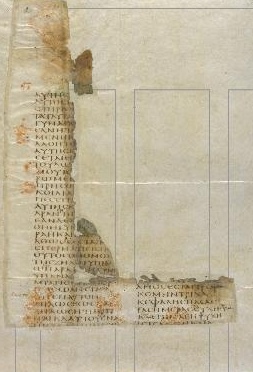 The Codex Sinaiticus, a 1,600 year old hand written bible, is now available to be read online. It is a very well designed website. It is easy to flick to any book or chapter to see the original manuscript. The greek or hebrew text in the replicated in normal online type to be easier to read, and English and other translations will be added over time. Otherwise unless you know your Hebrew, Aramaic and Greek you won’t get far! The Codex Sinaiticus is the oldest complete greek texts of the new testament. Clearly, this isn’t going to replace your NIV as a study bible but it is a really interesting website and a great example of using the internet to share things to a number of people that would have been impossible previously.